Here at Burglar Bomb Security Systems, home defense is what we do. In our eyes, solely using an alarm to ward off intruders is just not enough to protect your safety. The simple truth is that the time it takes for police to respond to a 911 call is sufficient to not only make off with some or many of your valuable belongings, but also to potentially cause bodily harm to you or one of your family/guests. If you think like we do, then that is unacceptable. That’s why we’ve created a state of the art pepper spray home defense system. 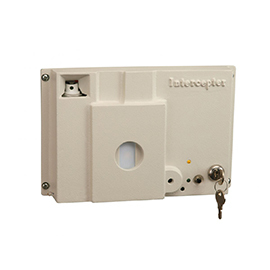 This non lethal home defense incapacitates the intruder, without causing them any bodily harm. It’s the perfect humane way to deal with a burglary. 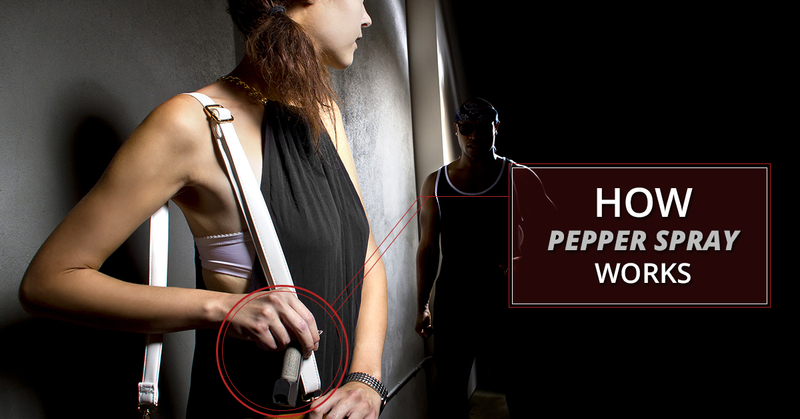 If you’re interested in this novel and effective pepper spray home defense, we go over the basics of how pepper spray works here. Have you ever taken a bite out of a pepper that was a little more than you bargained for? That’s an extremely painful experience you won’t soon forget. Well, pepper spray is derived from the same chemical that makes your mouth burn when you bite into a hot pepper, capsaicin. The hottest pepper in the world is the ghost pepper. When measuring spicy heat, scientists use Scoville heat units. For a little bit of perspective, the ghost pepper measures out to about 850,000 to 1,000,000 Scoville heat units; in contrast, pepper spray measures anywhere between 2,000,000 to 5,000,000 Scoville heat units. That’s some serious burglar stopping power! In the vast majority of cases, pepper spray does not cause lasting harm, and the death rate (where pepper spray is a contributing, rather than the sole factor) is by far the lowest of any effective self defense option available. That is why it has gained popularity with police forces. How Is Pepper Spray Made? The ingredient that causes the burning sensation in peppers, capsaicin, can cause your skin to blister with just one milligram making contact with your skin (don’t worry, pepper spray has nowhere near that much). That makes it extremely easy to produce for the quantities needed to incapacitate someone when extracted. 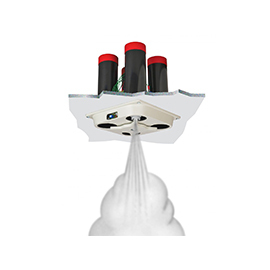 After extraction, the spray is put into a spray canister and mixed with oil, water, and propellant, then pressurized inside the canister. 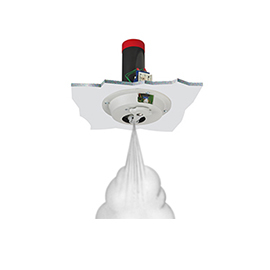 This is what gives the spray some distance, allowing it to be used as an effective tool for home defense purposes. Have you ever wondered why a pepper is hot when you eat it, but not while holding it in your hands? This is due to capcaisin’s mechanism of action, which only works on nerve endings in the mucous membranes of your body: mouth, eyes, throat, nostrils, etc. However, the efficacy of pepper spray isn’t just a measure of Scoville heat units, but also of the concentration sprayed and where it is sprayed. For instance, spraying from up close directly in a person’s face will have a more intense and long lasting effect than spraying from far away. When sprayed in the face, there will be a burning sensation in the eyes, nose, and mouth, as well as possibly the throat and skin depending on severity. If left without treatment, this sensation can persist for up to about an hour. When it gets in the eyes, they swell shut, causing temporary blindness. Coughing fits and swelling of the throat are also common, usually lasting anywhere from 3-15 minutes. Pepper spray is oil based, and oils and water don’t mix at all. That’s why, while it may give you some temporary relief, running water on the affected area is insufficient to get rid of the symptoms. However, there are a few methods of treating someone who has been pepper sprayed. Blink — Your first line of defense is your body. Your eyes are made to remove contaminants, that’s why they blink. If you’ve been pepper sprayed, start treatment with regular blinking to try to remove the contaminants from your eyes. No Touching — Pepper spray is easily transmitted by touch, so the person sprayed should avoid from touching anything, especially other parts of their, or other’s, body. Shampoo or Soap — Where water fails to remove oils, other conventional cleaning products can be effective. Hand soap or traditional shampoo will work in a pinch, but the ideal product to use is baby shampoo, as it doesn’t cause any further irritation. Apply these products to the affected areas, then rinse with water. Repeat as needed. Hopefully you feel a little more informed about our pepper spray home defense product. We believe that it is the best way to ensure safety for yourself, your family, and your belongings, all without having to cause lasting harm to another human being. 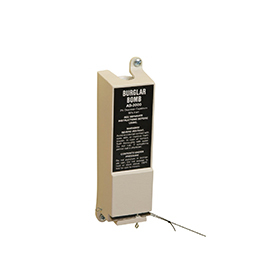 If you’re interested in our home defense product, please don’t hesitate to give us a call for more information. We look forward to hearing from you.